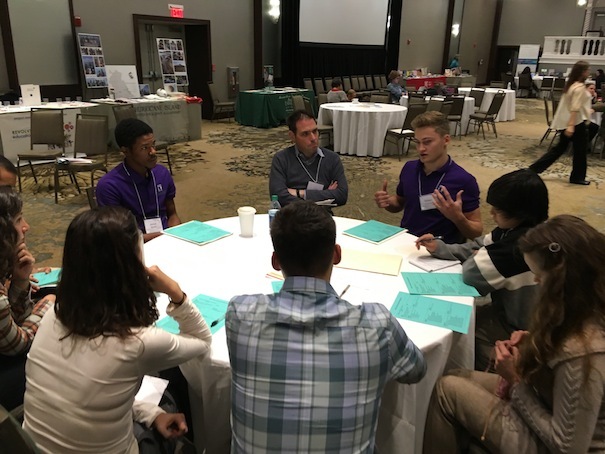 As in past forums, Eagle Rock played an active role this time around, with staff and students presenting three sessions at the conference that attracted more than 500 educators from around the nation. Dan Hoffman, Eagle Rock School literature and literacy instructional specialist, presented YouTH-Ink: Connecting Conversations Between Youth Using the Language of Poetry, alongside Kane Smego, a previous guest during one of our in-house Explore Weeks and an internationally recognized spoken word poet. During the workshop, participants learned how to create spaces where youth can create connecting conversations with others (both within and outside their own schools) using the language of poetry. 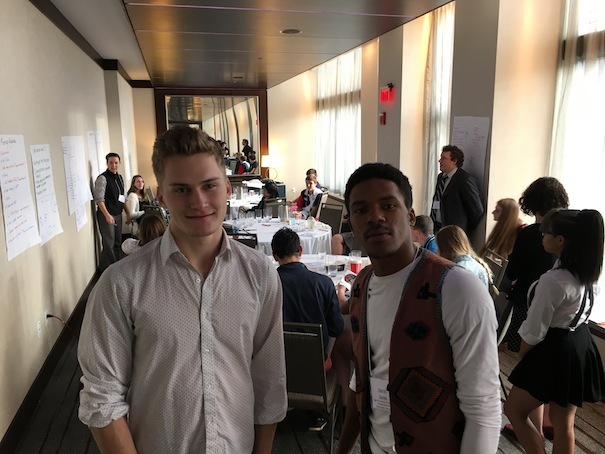 Together, Dan and Kane highlighted the empowerment of youth-based spoken word poetry as an outlet for the expression of fresh perspectives during this critical growth period of young peoples lives. Attendees walked away with tools to empower youth and stimulate them in finding their own voice. Dan Condon, assistant director of our Professional Development Center, along with Michael Soguero, presented a sought-out session called How to Make Change Stick: The Secret Sauce in Implementation, that resulted in one of the highest-attended sessions at the conference, pulling in dozens of attendees from more than 12 states. Dan and Michael guided educators through a six-step process of how to “make change stick” in their own school context. The workshop allowed participants to be walked through their own dilemma and receive additional one-on-one support from Eagle Rock staff members. Kelsey Baun and Sarah Bertucci, two of the professional development associates here at Eagle Rock, were assisted by Eagle Rock students Javon Banks and Saben Hinkley in a session entitled, WHO Should Help Create Schools that Serve all Students? STUDENTS! This interactive round-table presentation used Eagle Rock’s established Student Ambassador Program as an example of engaging student voice in national education reform. Attendees said they walked away inspired by our students’ presentation and acquired new professional development tools. To engage students, participants learned how to apply multi-tiered systems, rapid prototyping and organizational change models to their own context. To conclude the conference, Eagle Rock hosted the CES affiliates center director meeting, which was held at the Great Schools Partnership (a 501(c)(3) nonprofit school-support organization working to redesign public education and improve learning for all students, based in Portland, Maine). To learn more about the Coalition of Essential Schools, as well as the proposed dates for future Fall Forums, please visit the CES website at http://essentialschools.org. This entry was posted in Coalition of Essential Schools and tagged Dan Condon, Dan Hoffman, Great Schools Partnership, Javon Banks, Kane Smego, Kelsey Baun, Kim Carter, Michael Soguero, Professional Development Center, QED Foundation, Saben Hinkley, Sarah Bertucci, Student Ambassador Program, Ted Seizer.